Description - Mohawk's Fieldcrest vinyl sheet flooring perfectly captures the beauty of natural stone flooring and timeless hardwood. Finished with grooved grout lines and wood hand scraping feel, this sheet vinyl flooring looks and feels like the real thing without the difficulty in maintenance and is safe for installation on any level. Material – High quality resilient vinyl sheet with InvisiCare wear layer, high definition design layer, fiberglass & PVC core, and support backing for added durability. Pattern Repeat – Cobblestone, Merlot, Whiskey Barrel & Ivory Coast: 39.37" x 39.37", Saddle Oak & Golden Oak: 39.37" x 26.22", Natural Walnut: 39.37" x 47.24"", and Brushed Suede & Caramel Latte: 39.37" x 39.17". Drop – Cobblestone, Merlot, Whiskey Barrel & Ivory Coast: 19.69", Saddle Oak & Golden Oak: 19.69", Natural Walnut: 23.62", and Brushed Suede & Caramel Latte: 19.69". 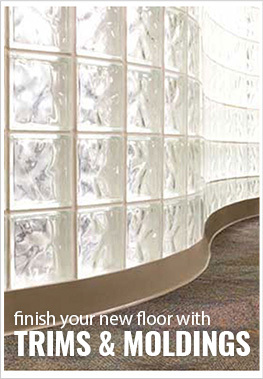 Recommended Uses – Fieldcrest resilient sheet flooring can be installed on any level and is mold and mildew resistant. Recommended for use in basements, mudrooms, hallways, bathrooms, kitchens, man caves, family rooms, laundry rooms and more. To view printable maintenance instructions, please Click Here. To view printable installation instructions, please Click Here. Low cost wood & stone looks. Designed to not curl, crack, tear, or gouge. Resistant to mold, mildew, and alkaline. Can be installed loose-lay or with our 5900 Series pressure sensitive adhesive for a permanent installation. Ordered samples of different product and finally decided on the Merlot. A buddy and I installed it in a weekend. First step in kitchen remodel, now we just need to get new appliances ordered. Happy wife! We installed this a few months ago and even with our busy household roughhousing on it - it still looks like new. Thinking about putting this in a few more rooms of the house this year!